Perfect for potlucks, backyard barbecues, or to tote to your favorite picnic spot, this pasta salad is a tasty twist on tradition. By adding a splash of the liquid from a jar of marinated artichoke hearts, it’s easy to boost flavor in the vinaigrette. And you can use store-bought Italian dressing in place of making the vinaigrette, if desired. Pack into a Mason jar and attach a fork for a fun and convenient way to savor this summer salad. Check out The Daily Meal’s 12 Perfect Picnic Recipes for Your Next Outdoor Get-together including this recipe for Pasta Salad. Enjoy! Begin cooking rotini according to package directions. Meanwhile, prepare vinaigrette. In a medium bowl, combine the 2 tablespoons reserved artichoke liquid, olive oil, vinegar, sugar, salt, oregano, basil, garlic powder, and pepper; whisk until well blended. In a large bowl, combine provolone cheese, salami, onion, pepper, tomatoes, artichoke hearts, olives, Parmesan cheese, and parsley. Drain rotini; rinse with cold water and drain again. Add rotini to cheese and salami mixture; drizzle with vinaigrette. Toss to combine. Cover and chill for at least 1 hour and up to 1 day in advance. Makes 12 servings. Jazz up your dish of cranberry sauce by cooking cranberries in a flavorful mixture that’ll lend a sophisticated touch to this Thanksgiving Day staple. By simmering cranberries in a combination of Cabernet Sauvignon and a few other ingredients, it’s easy to add a twist on tradition while still enjoying a classic. Of course, your favorite red wine may be substituted for Cabernet Sauvignon, if desired. However you make it, this simple yet elegant dish will enhance the Thanksgiving Day celebration. 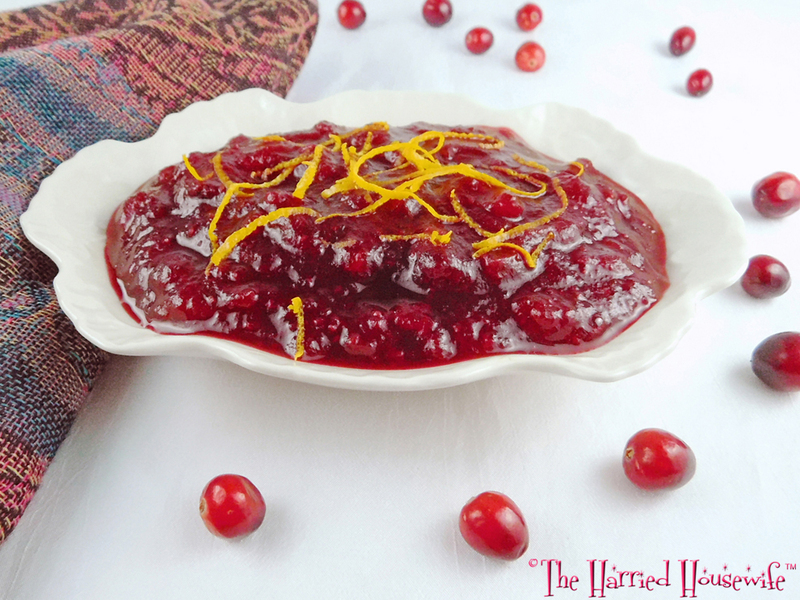 In a medium saucepan, combine cranberries, wine, orange juice, sugar, orange zest, and cinnamon. Bring to a boil; reduce heat. Simmer, partially covered, until most of the cranberries have popped, about 20 minutes, stirring occasionally. Remove from heat. Mash with a potato masher. Cool at least 1 hour before serving. (May be prepared up to five days in advance; store covered and refrigerated.) Makes 8 servings. 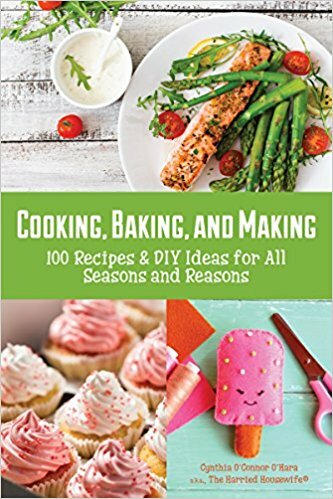 Quick and easy recipes are always in demand, and during the summer months, they’re especially welcome. 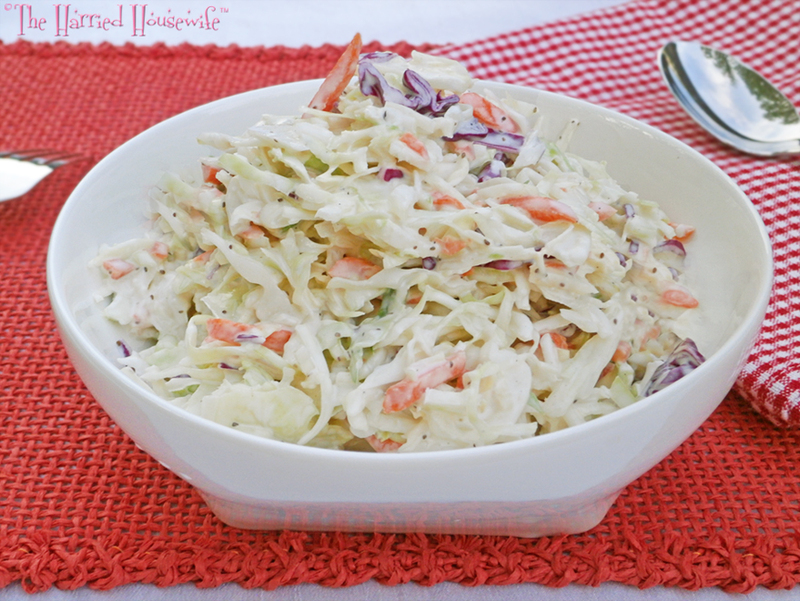 By simply combining packaged coleslaw mix with on-hand ingredients, a familiar side dish can be prepared in no time. Whether it’s for a picnic, potluck, or family reunion, this classic favorite is a time-honored addition to summertime get-togethers. In a large bowl, combine mayonnaise, sour cream, vinegar, sugar, celery seed, salt, and pepper. Add coleslaw mix and onion, if desired; toss to combine. Cover, and refrigerate at least 2 hours. Makes 8 servings. Whether it’s a backyard barbecue or a picnic at the park, a flavor-packed salad is a delicious addition to any alfresco get-together. Perfect for pairing with just about any grilled entrée, this recipe for Tortellini Salad combines cheese-filled pasta with a mélange of fresh ingredients. And store-bought Italian salad dressing makes it easy to get out of the kitchen quick. With this quick and easy recipe, warm-weather gatherings are sure to be a breeze. Cook tortellini according to package directions. Drain; rinse with cold water and drain again. 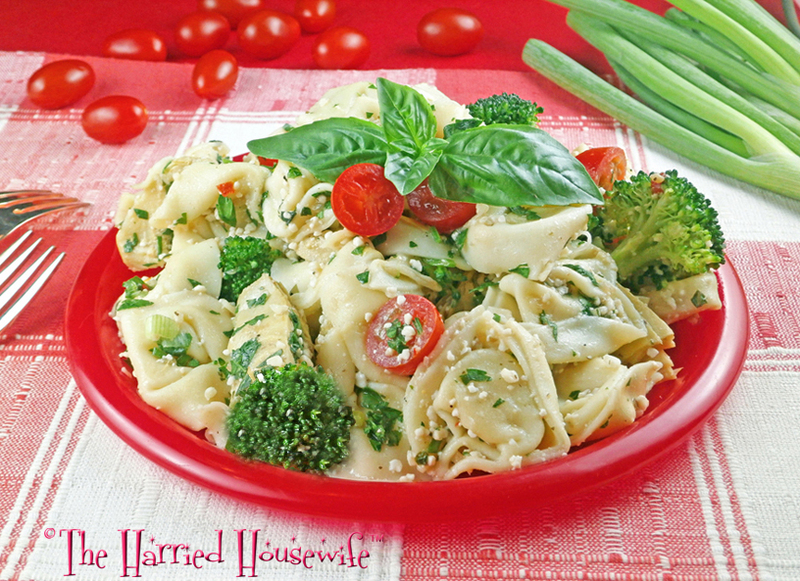 In a large bowl, combine tortellini, broccoli, parsley, artichokes, scallions, basil, salt, and pepper; toss to combine. Pour dressing over tortellini mixture; toss to combine. Cover, and refrigerate 1 hour. Just before serving, add Parmesan cheese and tomatoes; toss to combine. Makes 6 servings. Recipes made with garden-fresh cucumbers are a refreshing addition to the summer menu. Whether it’s to perk up your picnic, accompany your entrée, or share at an outdoor gathering, this old-fashioned salad makes good use of some of the flavors of the season. A terrific timesaver, it can be prepared up to four hours in advance. Just cover and store in the fridge until ready to serve. It can also be easily doubled or tripled for a crowd. Whatever the occasion, this quick and easy recipe is a delightful addition to any warm weather meal. Cut cucumbers in half lengthwise; use a teaspoon to scrape out the seeds. Thinly slice cucumbers; place in a colander that’s set over a bowl. Sprinkle with salt. Let stand 20 minutes; rinse and pat dry. 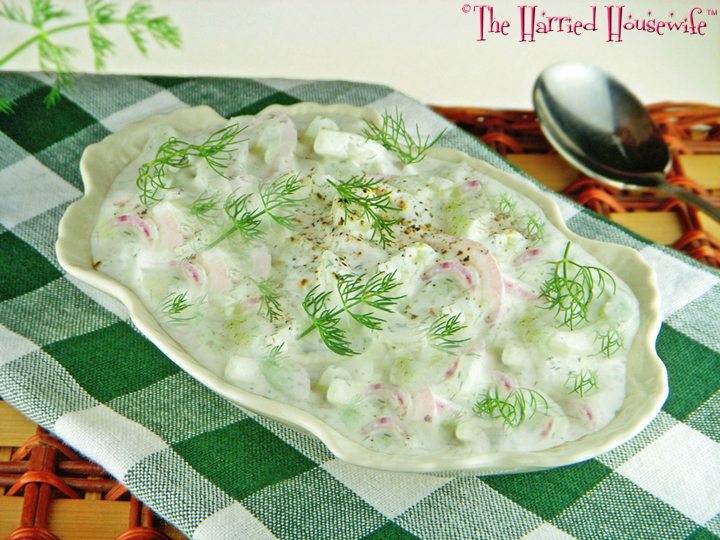 In a medium bowl, combine cucumbers, onion, dill, vinegar, sugar, garlic powder, and pepper; stir in sour cream. Cover, and refrigerate at least 1 hour or up to 4 hours. Stir well before serving. Makes 4 servings. Food Lion has debuted a new website that makes shopping, saving, and planning for mealtimes the ultimate in ease. Included in the many enhancements is Food Lion’s New Recipe Portal which has this recipe for Lemony Orzo and Chicken Salad and forthcoming Harried Housewife Recipes. Another exciting feature of this new website is a personalized dashboard that makes it easy for you to access your information in a snap. All you have to do is sign up for an MVP card. It’s easy to do, then just log in and you’ll see all of your personalized information such as your saved favorite recipes, digitally uploaded coupons, shopping lists, savings for the year, etc. You can customize your dashboard as you go! This personalized feature is not only fun and easy, but it also saves time and is helpful to those watching their budgets. The new Food Lion website, based on customer feedback, is designed to provide time-crunched folks with digital enhancements to ensure easy mealtime preparation. or any other feature, Food Lion’s freshly designed website makes it easy to save money and simplify your grocery shopping experience. Thanks to Food Lion for sponsoring this post. Celebrate National Salad Month, and the warmer weather, with a lighter dish filled with color and texture. 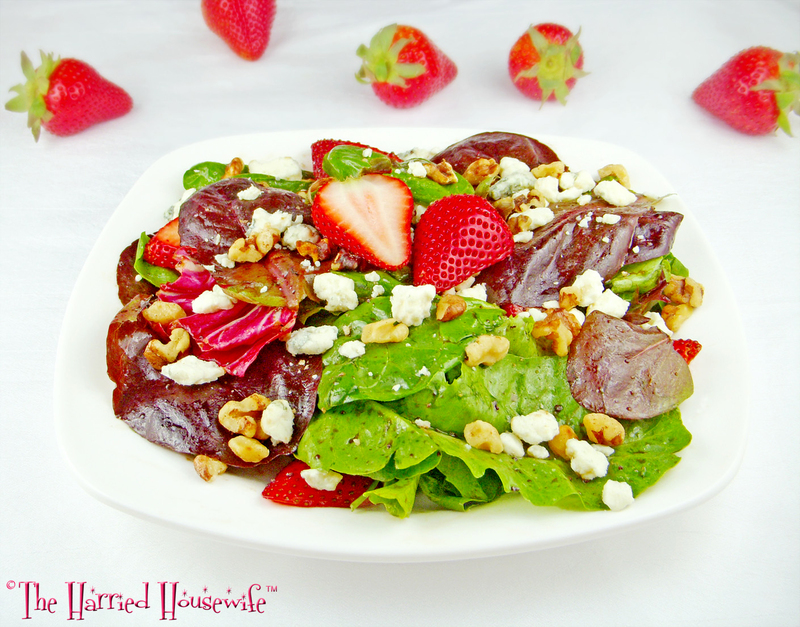 A refreshing mix of seasonal salad greens along with strawberries, blue cheese, and toasted walnuts drizzled with tangy balsamic poppy seed vinaigrette is both tasty and nutritious. And you can always add cooked chicken breasts or your choice of lean protein, if desired. Whichever way you prefer, this refreshing recipe is an appetizing start to National Salad Month. For vinaigrette, in small bowl, combine vinegar, olive oil, honey, poppy seeds, sugar, mustard, salt, and pepper. Whisk until well blended. In a large bowl, combine mixed greens and strawberries. Whisk vinaigrette and drizzle desired amount over mixed greens and strawberries; toss to combine. Arrange on a large platter or 6 plates; sprinkle with blue cheese and walnuts. Makes 6 servings.